Kendall Layne is an associate in the San Francisco office of Lewis Brisbois and a member of the Professional Liability Practice. 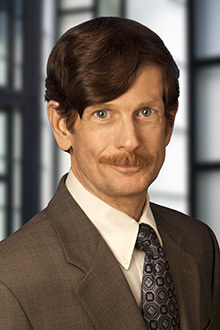 His practice is focused on the defense of attorneys, insurance agents, real estate brokers and agents, environmental consultants, architects, and others in professional liability actions, but he also handles commercial and residential landlord-tenant litigation, including evictions and breach of lease claims alleging mold exposure and other habitability issues. Mr. Layne has been a member of the State Bar of California since 1981. In 2011, he and George Ziser (a partner in the San Francisco office) obtained a defense verdict for two of the defendants in a legal malpractice case, after a five week jury trial in Sonoma County, in which Mr. Layne’s midtrial motion for nonsuit on one of the causes of action was granted, disposing of a million dollar damage claim; and a complete defense verdict, after a three week jury trial of a fraud action against a grading contractor in Contra Costa, in which Mr. Layne handled the direct and cross-examination of the civil engineering experts, and gave the closing argument. More recently, representing one of the largest commercial landlords in the U.S., he has obtained favorable judgments in non-jury trials of a number of landlord-tenant cases. Prior to joining Lewis Brisbois Bisgaard & Smith, Mr. Layne was a partner in the Oakland office of a mid-size insurance defense firm, where his practice involved defense of major national corporate clients, professionals, and public entities in complex high stakes tort claims, including product liability, premises liability, wrongful death, personal injury, professional negligence, and employment discrimination cases. Mr. Layne has extensive litigation experience in state courts, including several jury trials, numerous court trials and many successful mediations.